Most often in blues we are working with the I, IV, and V chords with added extensions and so forth. While these are the root of our blues progressions, their are many other chords within our harmonized scales that are used as well. 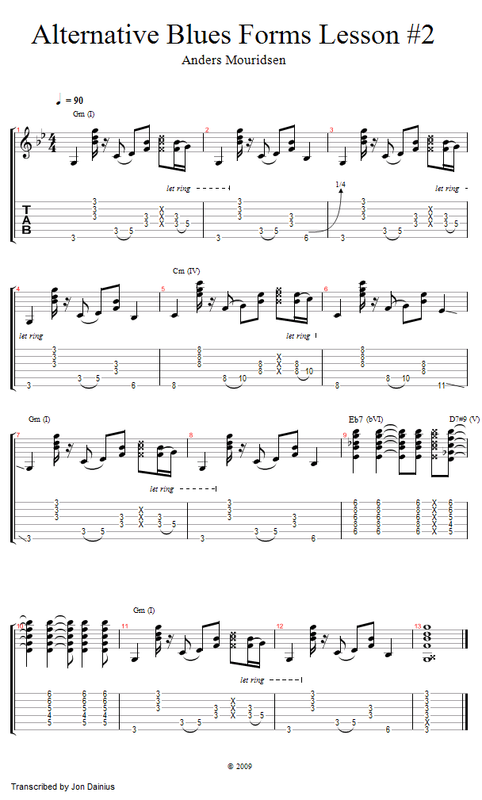 This creates a nice variation to your form and accounts for a more interesting listen as well as more soloing options. The first chord we are going to explore within this is the "flat 6th." We are pulling this quality from the minor scale, and our variation within the blues means that we are making it a Dominant 7th chord. We play this chord on bar 9 of our 12 Bar Blues, leading to our V chord. In this lesson, we will be playing an Eb7 as our flat 6th; which leads nicely into our V chord, D7(#9#5). Let's take a look at how to play this chord and how to work it into our blues playing.